Peter Jon Lindberg details Adam Schop's first trip to the island, now that he's taken the helm at Miss Lily's in NYC. The flavors turn out to be unmatched. As journalists who have been going to Jamaica every winter since the Clinton administration, my wife and I have a must-eat list—a running catalog of flavors we crave as soon as we step off the plane in Montego Bay. Turns out we have a lot of must-eats: jerk chicken at Scotchies, curry goat and roti at Evelyn’s, callaloo patties at Niah’s Pattie Shack…the list goes on. We never have enough time or enough meals to get to them all, but it wouldn’t be Jamaica if we didn’t try. When I’m craving Jamaican flavors at home in New York City, I know just where to go: Miss Lily’s. The island connection runs deep at this downtown restaurant; cofounder Paul Salmon also owns my go-to hotel in Jamaica, Rockhouse, perched on a cliff in Negril. The culinary consultant at Miss Lily’s is reggae singer–caterer Suzanne Couch, a self-described “keeper of Jamaican cuisine,” steeped in island foodways. Last year, a new chef, a bearded and bearlike New York native named Adam Schop, took charge at Miss Lily’s. 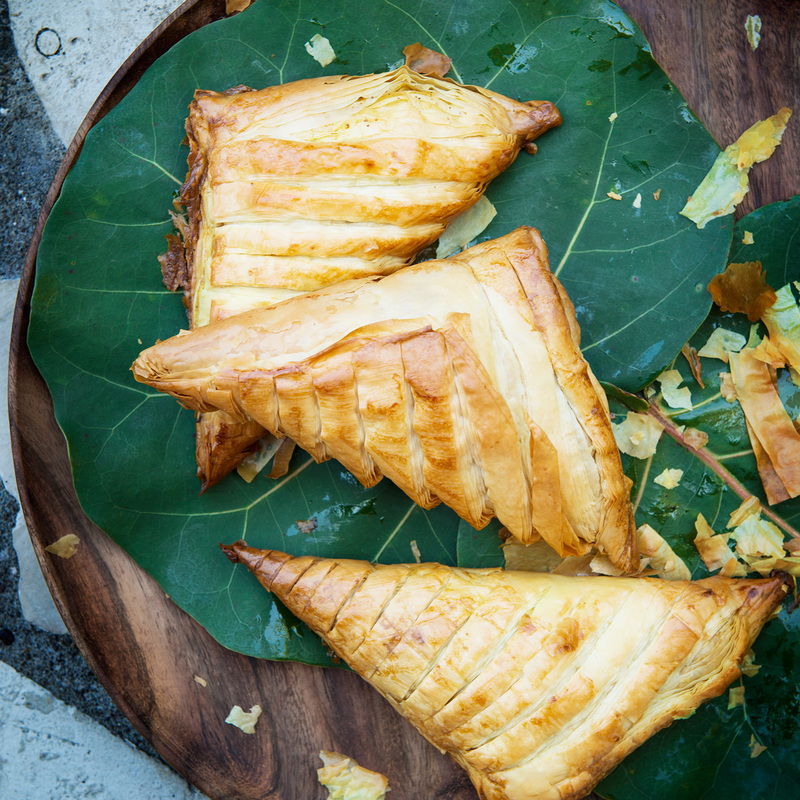 That he managed to create note-perfect renditions of tricky Jamaican specialties without ever having set foot on the island is testimony to his considerable skill. But, clearly, a trip was in order. So, recently, Schop paid his first visit, in the company of Couch, Salmon and a crew of friends. 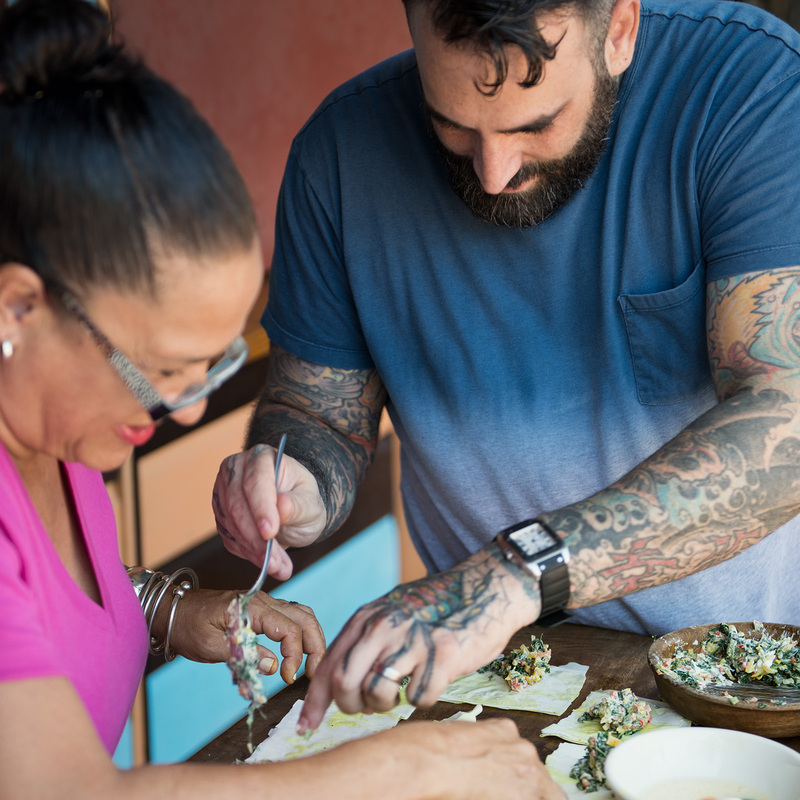 With Rockhouse as their base and alfresco test kitchen, they combed the west coast. Schop came away with some new recipes and insights. Here, his key lessons. Scotchies is a prime example of that resourcefulness. 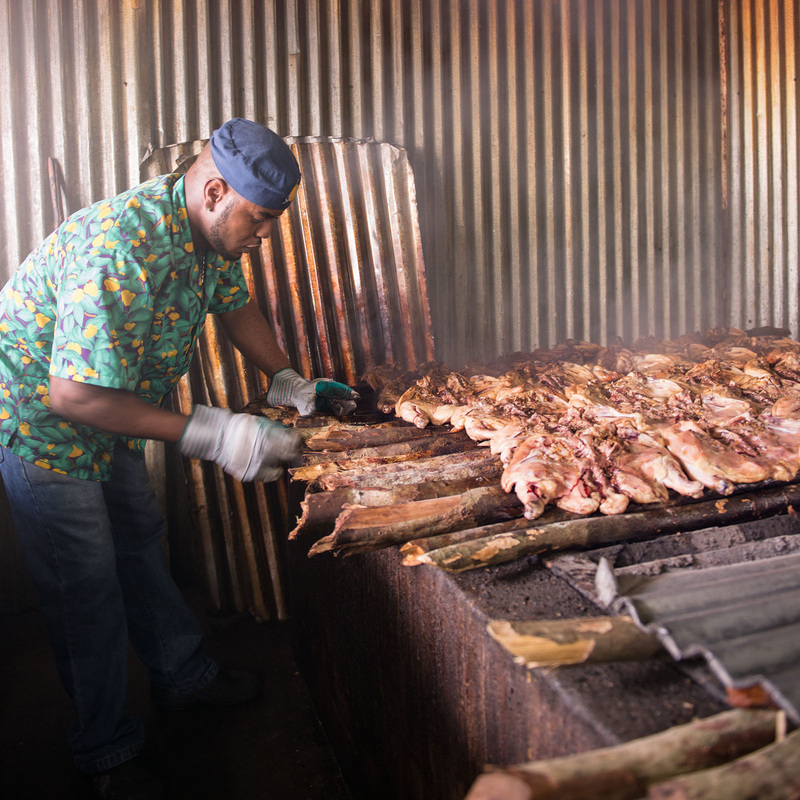 Set along the highway in Montego Bay, this is the most celebrated jerk pit in Jamaica, and rightly so. The outdoor bar draws a rowdy mix of tourists and locals—you might run into Jamaican boxer Nicholas “Axe Man” Walters hunkered down with some pork. And yet for a decade-old institution, Scotchies still looks like it went up overnight. The barstools are repurposed beer kegs. And the grill is ingeniously covered with sheets of corrugated tin (which Jamaicans call “zinc fence”), creating a makeshift convection oven. “I’ve worked with barbecue and grill masters all over the States and South America, and everyone cooks with dried wood,” Schop says. “But Scotchies uses live fuel, fresh green poles of pimento wood.” (Native to Jamaica, the pimento tree is the source of the allspice berry.) At Scotchies, cooks lay the long, slender logs side by side across a charcoal-fired pit—picture a bamboo raft set over a massive steel grill (above). They place marinated chicken, fish or pork sausage directly on the poles, then seal the whole assemblage with the zinc-fence canopy. 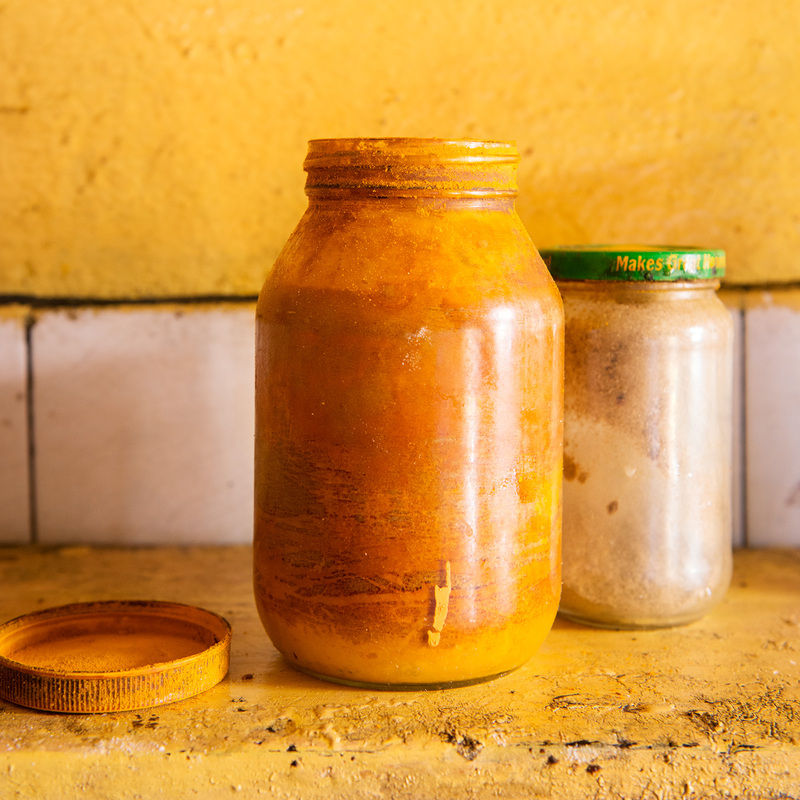 “So you’ve got this still-moist pimento wood that never ignites but smolders and smokes, perfuming food with that sweet, cedary allspice flavor,” says Schop. The technique is closer to barbecue than grilling, he adds, since it relies on indirect heat and smoke. When the pit master finally peels back the corrugated tin, you can see water bubbling out of the pimento logs—the wood is that fresh. I’ve been eating at Niah’s Pattie Shack (or at least trying to) for years. 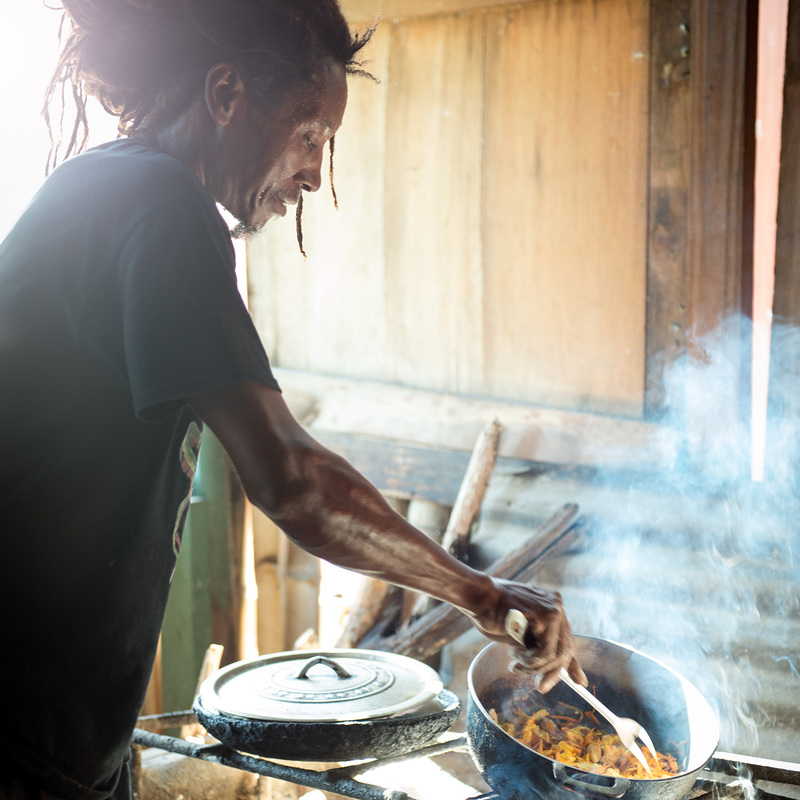 The elusive Rastafarian chef is a master of Jamaican patties—plump, savory turnovers akin to Cornish pasties or outsize empanadas—which he cooks in a hut on Negril’s Seven Mile Beach. With no electricity, no refrigeration and no running water, Niah’s is essentially a lean-to with a wood stove. Opening hours are purely speculative. The fact that Niah makes every patty from scratch, to order, reflects the high value Jamaican cooks place on food. “They’re focused on not wasting it,” Schop says. “They’re not cooking everything then waiting around for someone to buy it.” And it’s not that the cooks are slow, Schop clarifies; it’s that they’re a couple of steps behind when you show up and place your order. Only then will they light a fire and start prepping ingredients. “Though maybe they could buy the matches, wood and flour beforehand,” Schop adds with a grin.